New Panels for verification and routine quality control of common molecular assays are introduced by Microbiologics. These panels include HPV control and verification panel, vaginal control and verification panel, BCID control and verification panel and Enteric Viral control and verification panel. The units are designed to mimic patient sample processing and come with features like pellets, swabs pre-pooled with multiple strains and room temperature storage. The panels provide full spectrum of inactivated, synthetic and live culture control for clinical laboratories. SAINT CLOUD, Minn., July 24, 2018 /PRNewswire/ -- Microbiologics, Inc. has launched a series of new panels for verification and routine quality control of common molecular assays. The eight new panels, designed to mimic patient sample processing, include convenient features such as pellets and swabs pre-pooled with multiple strains and room temperature storage. "Molecular testing has become an essential tool in clinical laboratories experiencing large workloads, limited resources, and pressure to deliver accurate results quickly," said Brian Beck, Ph.D., Vice President of Research and Development. "User experience and the specific testing processes for verification and routine quality control were top of mind when we designed our new panels. For example, our BCID Control Panel includes 27 targets in one pellet, and the inactivated material in our BCID Verification Panel can be rehydrated and refrigerated for later use up to 72 hours." "We always strive to stay on the cutting-edge of our industry while providing the highest quality products for our customers," said Brad Goskowicz, Chief Executive Officer. "Developing reliable, easy-to-use controls for molecular methods that help our customers ensure accurate results will continue to be a top priority for our team." 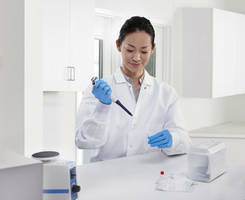 All Microbiologics verification and quality control panels for common assays and instruments including the BD MAX™ and Cepheid Xpert® can be found at www.microbiologics.com. About Microbiologics: Microbiologics, Inc. provides ready-to-use QC microorganisms and molecular controls for assay development, instrument validation, and quality control testing of rapid diagnostic assays in clinical, pharmaceutical, food, and water industries. Microbiologics produces over 1000 strains in formats including qualitative, quantitative, Certified Reference Material, and Parasite Suspensions. Microbiologics has an international distribution network spanning over 140 countries.